Imagine you were going to be washed up on a desert island and could only take one episode from each Trek series to keep you company for the foreseeable future. With over 700 television hours to choose from, how could you possibly narrow it down to a mere five? Such is the dilemma faced by hosts Cam Smith and Tyler Orton this week as they grapple with this torturous hypothetical scenario, and valiantly strive to justify their own unique picks. Also, as an added bonus, the duo recollect their experience attending the currently touring Star Trek: The Ultimate Voyage concert experience! Wanna appear on the show? 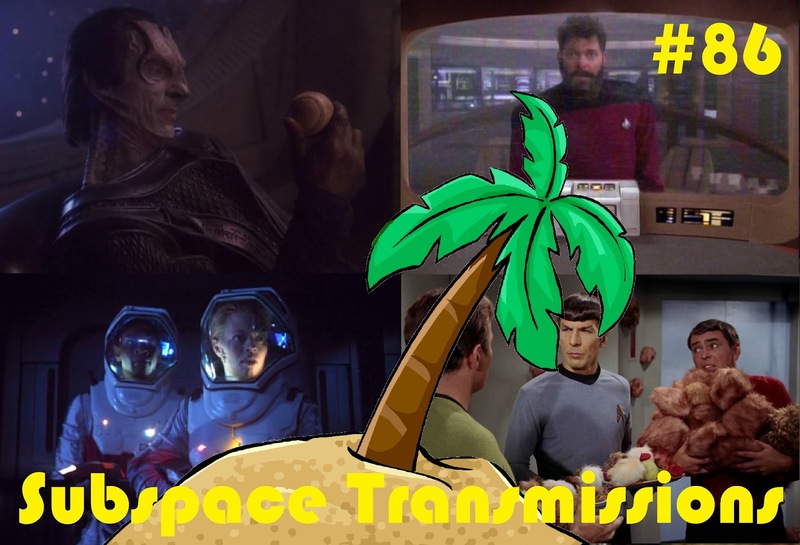 Shoot us a 30 to 60-second audio clip telling us your DESERT ISLAND STAR TREK EPISODE PICKS and you could take the spotlight in an upcoming program! You can also send any other questions, topic ideas or feedback to subspacetransmissionspod@gmail.com! Join us next week as Subspace Transmissions visits The Mirror Universe!